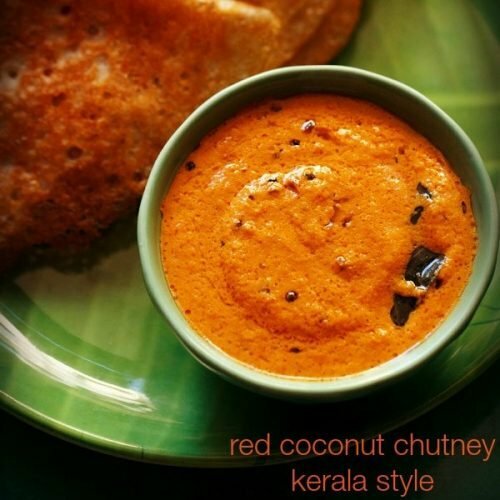 kerala style red coconut chutney for idli and dosa. 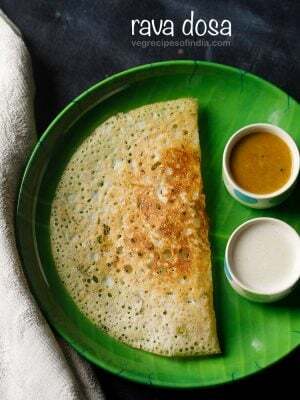 red coconut chutney recipe with step by step pics – a bright red colored kerala style chutney for idli, dosa and uttapam. 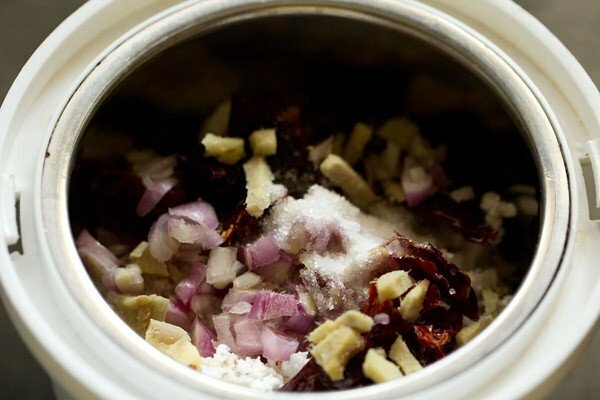 this is quick to prepare chutney (if you have grated coconut already). the red chilies add some heat and smoky flavor to the chutney. pearl onions also add their flavor and taste to the chutney. 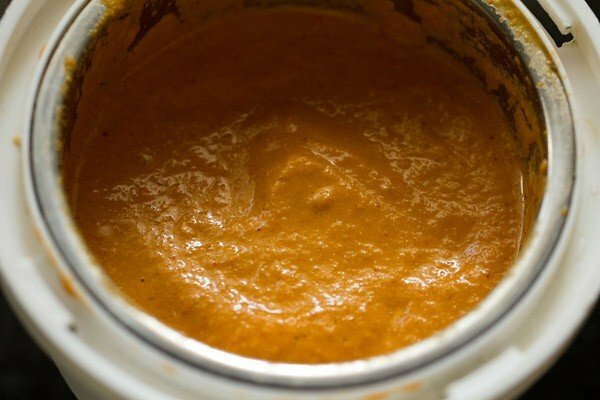 i have already posted another version – red chilli coconut chutney. few more coconut chutney recipes already posted on the blog like coconut chutney and hotel style coconut chutney. 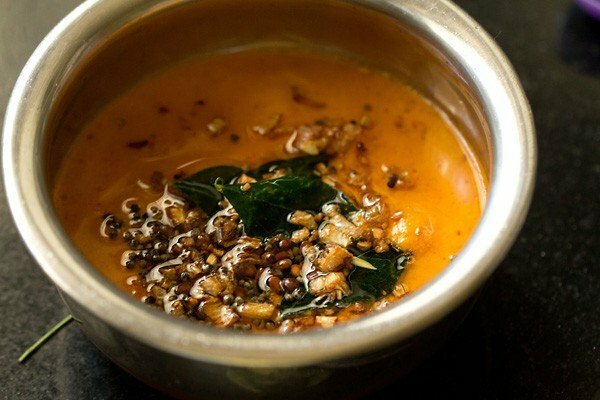 usually we prefer coconut chutney with roasted chana dal and coconut, but at times i make this way too. when i have green chilies, i add green chilies. in the absence of green chilies, i add red chilies. depending on the kind of red chilies added, the taste may vary in pungency and heat element. so you can add the red chilies accordingly. 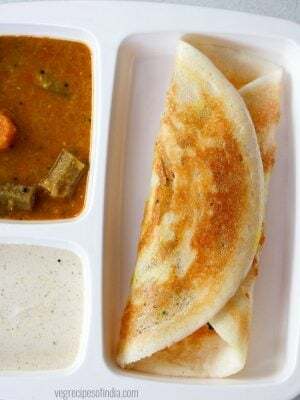 this kerala style chutney makes for a good accompaniment with the south indian tiffin snacks like rava idli or rava dosa or medu vada or mysore bonda etc. 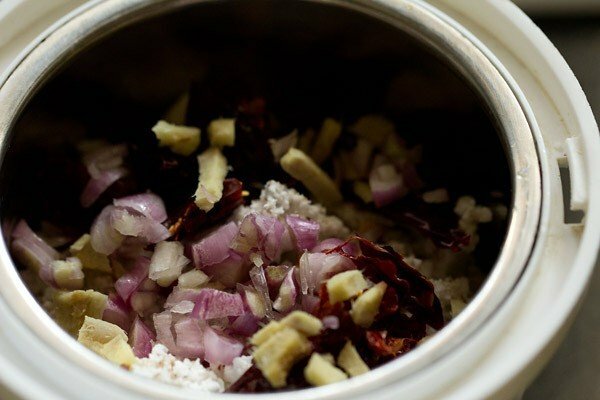 take 1/3 cup tightly packed grated coconut, 1/2 tbsp chopped shallots or sambar onions/pearl onions, 2 to 3 dry red chilies and 1/2 inch ginger in a chutney grinder. if you want to tone down the raw taste of red chilies, then just roast them lightly in a pan. you can also saute them in a bit of coconut oil. apart from ginger, you can also add garlic. add salt and 1/4 cup + 1 tbsp water. grind to a smooth chutney. 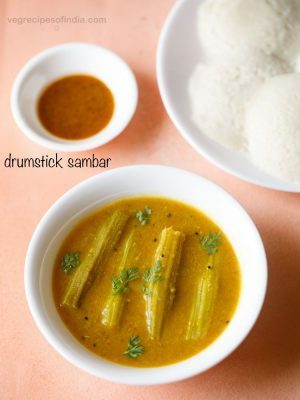 take the coconut chutney in a small steel bowl or pan and keep aside. heat 1 tbsp coconut oil in a small pan. add 1/2 tsp mustard seeds and allow them to crackle. then add 1/2 tsp urad dal. fry the urad dal till they are a maroonish golden. add 8 to 10 curry leaves and 1 tbsp chopped shallots or sambar onions/pearl onions. saute till the shallots are light golden. add the tempering mixture along with its oil to the red coconut chutney. 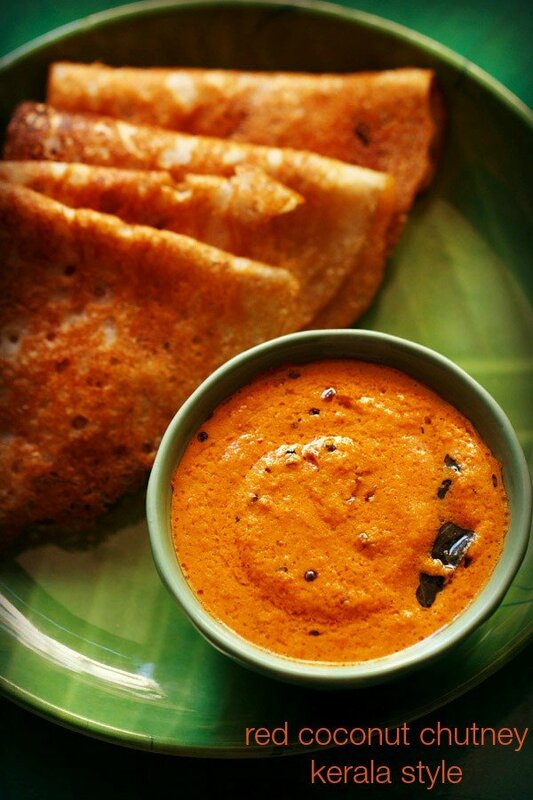 serve the kerala style red coconut chutney with idli, dosa, medu vada or uttapam. 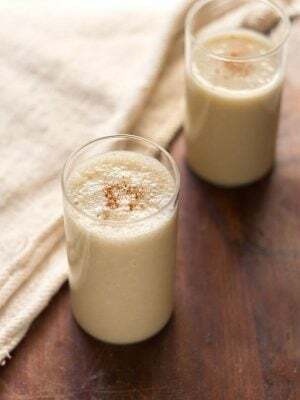 1. in a chutney grinder, take ⅓ cup tightly packed grated coconut, ½ tbsp chopped shallots (or sambar onions/pearl onions), 2 to 3 dry red chilies (halved or broken or chopped & deseeded) and ½ inch chopped ginger. if you want to tone down the raw taste of red chilies, then just roast them lightly in a pan. you can also saute them in a bit of coconut oil. apart from ginger, you can also add garlic. 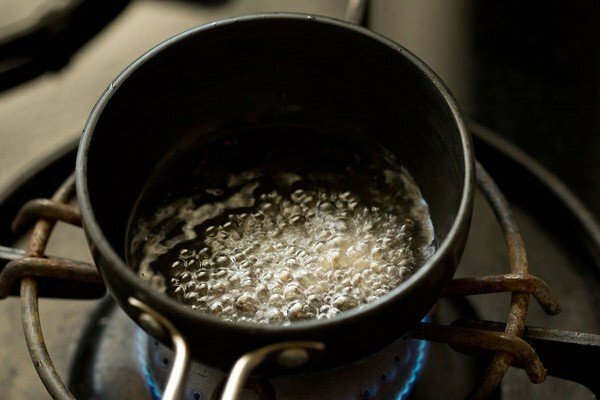 2. add salt as required and ¼ cup + 1 tbsp water. 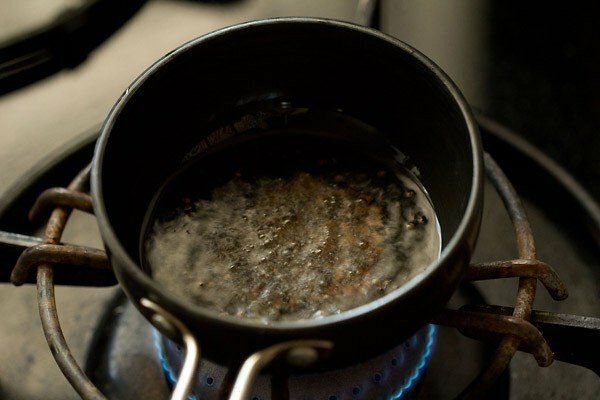 you can also add water as required, depending on your grinder and its speed. 3. grind to a smooth chutney. 4. take the chutney in a small steel bowl or pan and keep aside. 5. heat 1 tbsp coconut oil in a small pan. 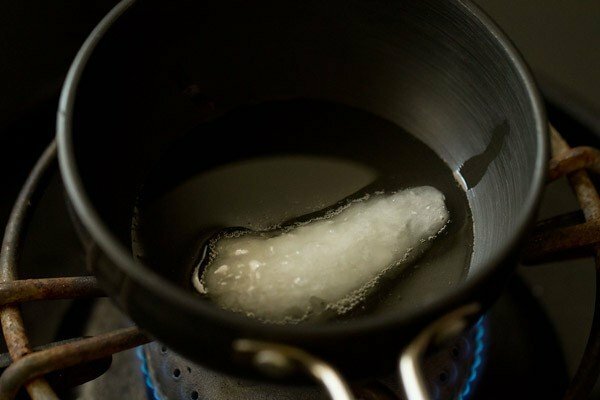 in the below pic, this is coconut oil which has solidified due to the winters. 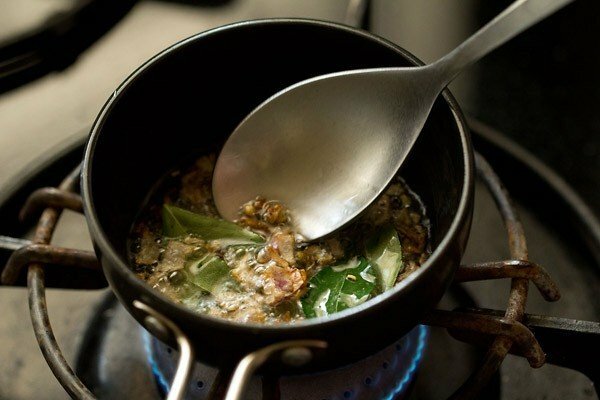 6. add ½ tsp mustard seeds and allow them to crackle. 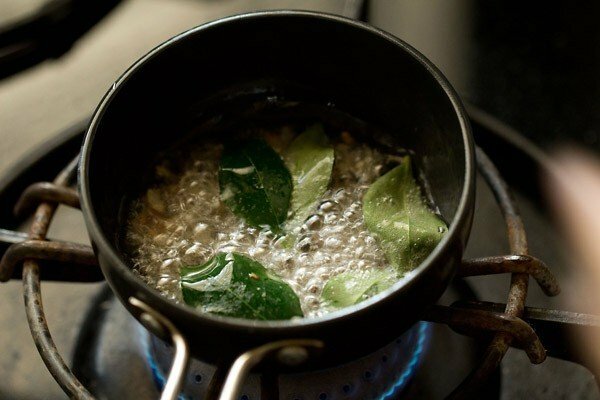 7. then add ½ tsp urad dal (husked black gram). 8. fry the urad dal till they are a maroonish golden. 9. add 8 to 10 curry leaves and 1 tbsp chopped shallots (or sambar onions/pearl onions). 10. saute till the shallots are light golden. 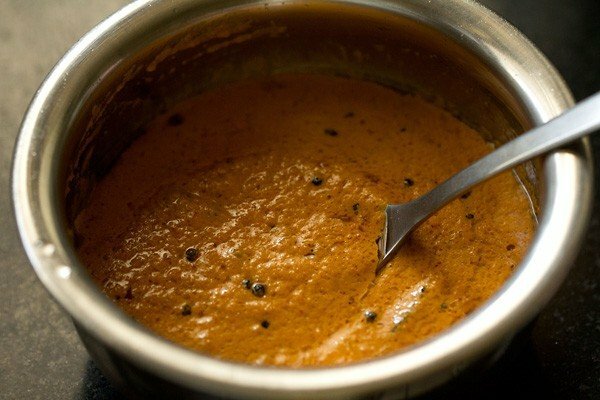 11. add the tempering mixture along with its oil to the red coconut chutney. 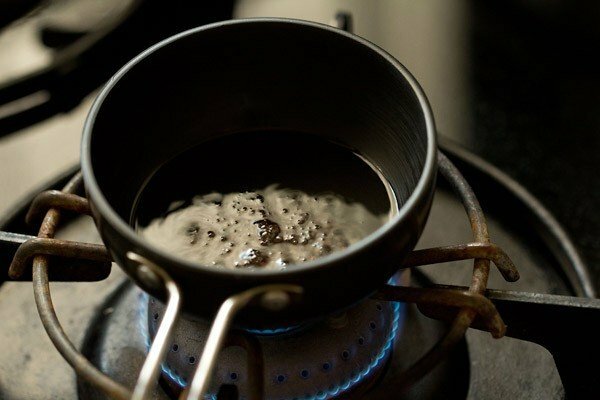 12. stir and mix well. 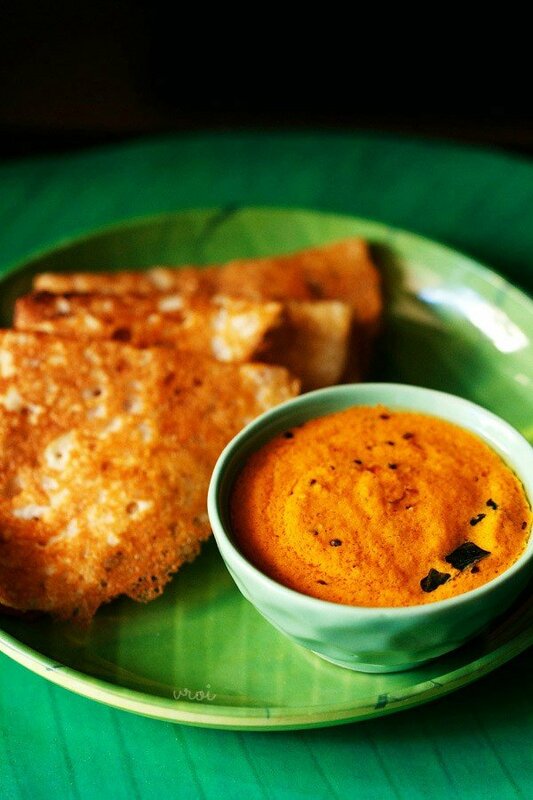 12 serve the kerala style red coconut chutney with oats idli, dosa, medu vada or uttapam. 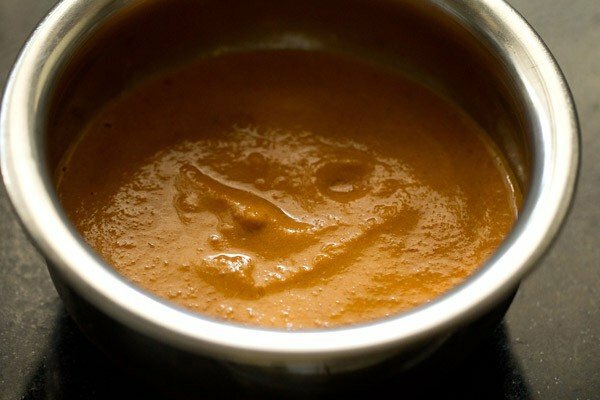 Nice receipe of chutney. My husband loved it. Thanks Shraddha. Good to know this. Your recipes are awesome.Can you please post the recipe of chutney podi? Thanks Ash. I will try to add this recipe soon. 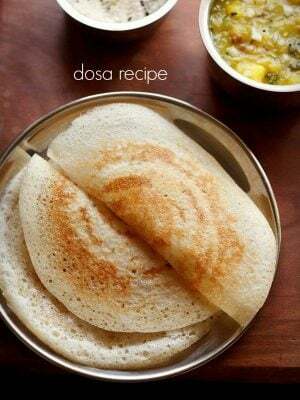 Nice looking beautiful recipe. I did this without the shallots. Great to know that I can use these now. Thank-you.